Call All Members of the Sunset Commission NOW! Phone numbers are provided at the end of this email. On Thursday, December 8, the Sunset Commission will meet (agenda) to consider recommendations regarding the structure, organization and location of the State Board of Examiners of Professional Counselors as well as the boards that regulate Marriage and Family Therapists, Psychologists and Social Workers. Every member of the Sunset Commission needs to hear from YOU! Make your calls as soon as possible and no later than Thursday, December 8th. Contact information is located at the end of this email. Please forward this email to friends and colleagues and encourage them to make calls. Post this information on your social media accounts as well. The Sunset Commission represents all Texans. If you are a constituent of any Sunset Commission member, let them know, but call each member regardless. Do not move the mental health licensing boards to the Texas Department of Licensing and Regulation (TDLR.) Even TDLR acknowledges that they are not ready to take on regulation of mental health professionals. 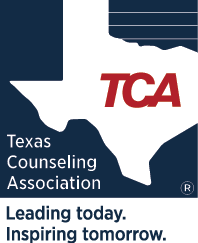 Retain the independent authority of the Texas State Board of Examiners of Professional Counselors to regulate Licensed Professional Counselors in Texas. Only a professional board has the knowledge and experience to establish reasonable, appropriate and rigorous licensing standards and to enforce ethical standards that protect the public. Licensed Professional Counselors deliver unique services that utilize interpersonal, cognitive-behavioral, psychodynamic and affective methods to achieve mental, emotional, physical, social, moral, educational, career and spiritual development and adjustment throughout the lifespan. Currently, the Texas State Board of Examiners of Professional Counselors receives less than 1/3 of the licensing fees paid by Licensed Professional Counselors. The challenges reported by Sunset Commission staff could be easily resolved with even just 50 percent of the fees allocated to administration. Please support the innovative Texas Department of Mental Health Professions. This is the entity being proposed by TCA and the other mental health professional associations. It is a cost-efficient alternative that will ensure the autonomy of our boards and protection of the public, as well as the efficient and effective use of fees paid by Licensed Professional Counselors. Click on the phone number to dial directly from your smart phone. Will you make contact with each Sunset Committee member?